A barter program where you trade your time in exchange for membership to our social impact community! Naturally, at the HiVE we’re big believers in sharing and finding creative ways to provide greater access to our community and support for change-makers. 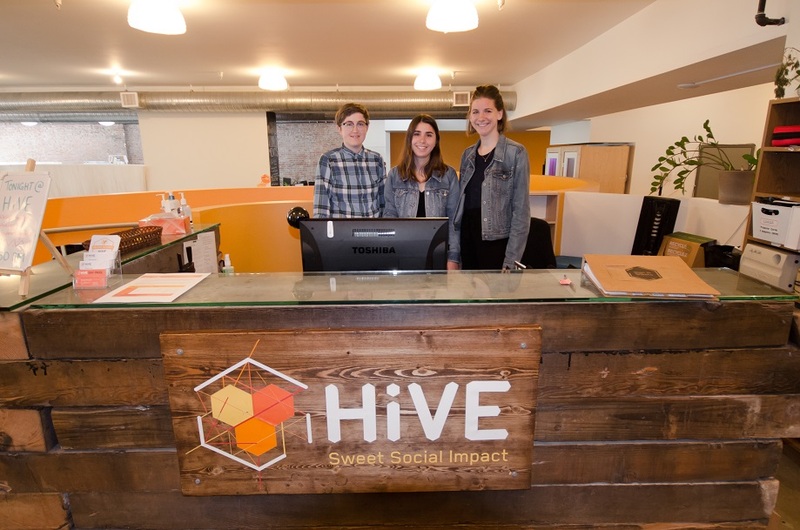 Since 2014, we’ve been running our Desk Bee Exchange Program; a barter program that gives an opportunity to trade membership to our social impact community (a HiVE Unlimited Hot Desk membership) in exchange for approximately 30 hours of HiVE front desk reception time per month. Our desk bees are dedicated, collaborative-minded, organization wizards who share a common vision with us. All of them come out of the program (or continue in it!) with a deep sense of connection and community, and accelerated social impact. We ask all our desk bees to commit to one weekly and one biweekly half-day shift for a minimum of three months. Duties include answering emails and in person inquiries, giving tours of the space, assisting with Taco Tuesdays and other events, and some tidying and light cleaning. Please apply for our desk bee exchange program here: Desk Bee Application! Our desk bees are engaged in areas that range from advocacy to youth empowerment, mental health solutions and photography. They’re working to create zero waste movements, communities of support, media and eco products – all in order to build a better world. Would you like to be a Desk Bee? Please apply here: Desk Bee Application.